Passaram ontem dois anos sobre o assassinato de Anna Politkovskaya. Os Repórteres Sem Fronteiras assinalaram a data com um apelo à comunidade internacional para que os culpados sejam levados perante a justiça, a justiça que Politkovskaya procurou como jornalista e cidadã. Acabei recentemente o seu Diário Russo, e acho que é um livro que todos os aspirantes a jornalistas devem ler, para perceberem que apesar dos riscos é preciso mostrar a verdade. A tenacidade e a coragem de Politkovskaya não são comuns, mas são necessários. Ela sabia que iria pagar um preço elevado, mas não recuou, e o seu legado é um exemplo para todos nós, os que procuramos a verdade e o bem comum. Da mesma importância que o Arquipélago de Gulag de Solzhenitsyn, o Diário Russo é um trabalho jornalístico único, onde acompanhamos os dois últimos anos de Politkovskaya nas suas viagens pela Rússia de Putin, no rescaldo do Nord-Ost, durante o massacre de Beslan, na recolha de testemunhos sobre a Chechénia. É a reconstrução laboriosa e perigosa de uma verdade a que ninguém tinha acesso, e um documento importante para se perceber a Rússia dos nossos dias. É também um modelo de coragem e de empenho, não só profissional, mas pessoal e humano. Yesterday was the second anniversary over the murder of Anna Politkovskaya. The Reporters Without Borders marked the date with a call out to the international community so that the accused may be brought forth to justice, the justice Politkovskaya always searched as a journalist and citizen. 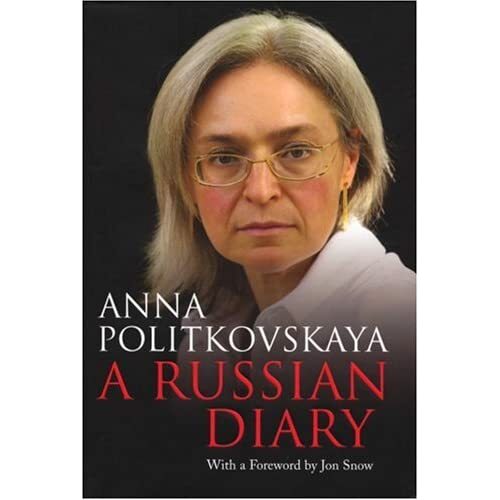 I recently finished reading her Russian Diary, and i believe it is a must read book for all aspiring journalists, to understand that despite the risks the truth must be exposed. Politkovskaya’s tenacity and courage are not common, but are necessary. she knew she was going to pay a high price, but didn’t flinch, and her legacy is an example to all of us, those who strive for the truth and the common good. As important as Solzhenitsyn’s Gulag Archipelago , the Russian Diary is a unique journalistic work, where we follow Politkovskaya’s last two years in her voyages across Putin’s Russia, from the aftermath of the Nord-Ost, during the Beslan massacre, gathering information and testimonies about Chechnya. It’s the laborious and dangerous reconstruction of a truth that no one had access to, and an important document to understand nowadays Russia. 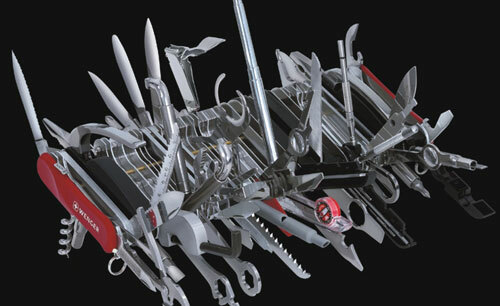 It is also a model of courage and commitment, not only professional, but also personal and human. Reporters Without Borders today called on the international community to launch a new call for justice to be done on the eve of the second anniversary of the murder of journalist Anna Politkovskaya, of the bi-weekly Novaya Gazeta and a specialist in the Caucasus region. The campaigning journalist was gunned down at her apartment building in Moscow on 7 October 2006. Vale a pena ver a entrevista até ao fim, pela personagem de Paxman e pelas experiências que ele partilha. E vejam como ele explora a arte de fazer as perguntas certas. The interview is worth watching until the end, for Paxman’s character and the personal experiences he shares. And see how he works the art of questioning. With the right questions.